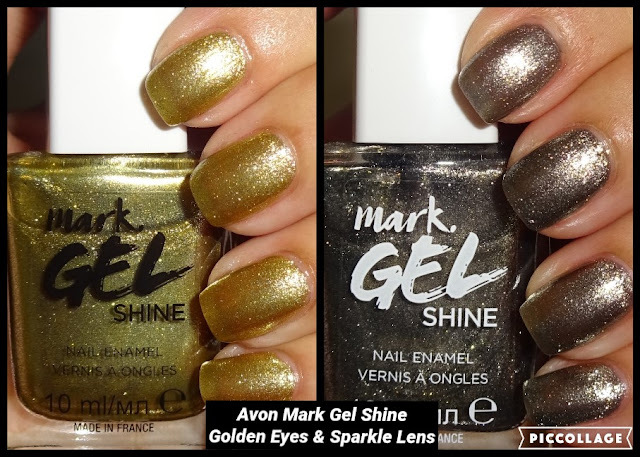 I've got 2 new shades to show you from Avon's Mark Gel Shine range. Both are packed with sparkle and shimmer and I found them both very hard wearing. Golden Eyes is a gorgeous light gold and sparkles light mad in the sunshine. Sparkle Lens is a cool gun metal grey and is very shimmery. Avon Color Trend Nail Enamels - 21 Swatches!